Latest in the series of "Complete" books from publishers Thames and Hudson (previous titles by other authors have included The Complete Valley of the Kings and the Complete Gods and Goddesses of Ancient Egypt) the authors of this new volume have chosen a difficult subject, but one which really needed to be addressed. The family relationships of the rulers of ancient Egypt are often complex, but are fundamental to the understanding of how Egypt functioned. The specific roles of the various members of the family were also important, as this book explains. 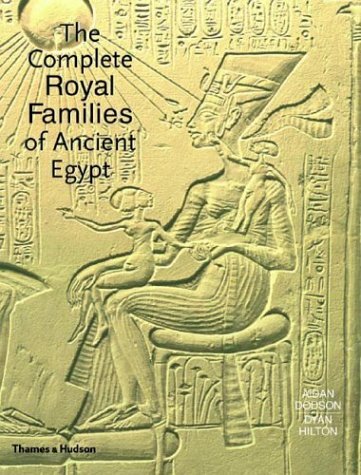 In the three hundred and twenty pages of the book the lives of some one thousand three hundred kings, queens, princes and princesses of ancient Egypt are detailed. Working chronologically. it begins at 3,100 BC with the First Dynasty of Egypt, and ends at the absorption of Egypt into the Roman Empire on the death of Cleopatra in 30 BC. The book opens with a basic summary of the structure of the pharaonic state, the role of pharaoh, how the bureaucracy functioned and how the country was governed. Key members of the royal family are then introduced, along with a summary of the information we know about them (which in many cases is minimal). For each period of Egyptian history, we have a general historical background before the narrative looks at the individual family members. For some periods there are sub-divisions, looking at the relationships of a few rulers at a time, which does make the book easier to use, both as a reference book and to follow the sometimes complicated story of the lives of the royal family. Also included are lists of officials, sometimes connected directly to the royal family, but in many cases not. They are known from their tombs and surviving statues and many of the names of the individuals introduced will be familiar to visitors to Egypt and to museums. This is really useful and helps to put tombs and objects in their historical context, which is not always apparent when visiting the actual tombs or museums. Whilst we may well know the names of hundreds of individuals from ancient Egypt, and the time frame in which they lived, to link family units together so comprehensively has not been done before and the results are fascinating. Complex (but understandable) genealogical trees for the families are included and these must have been time-consuming and mentally taxing to work out, especially at some periods when there is doubt and, often, controversy. Take as an example the end of the Eighteenth Dynasty, which includes the reign of Tutankhamun. What was his relationship to Akhenaten – brother or son? (The authors opt for son.) The family trees are constructed in such a way that certain links are indicated by solid lines and the "likely principal line" by dotted lines. (In this example Tutankhamun gets a dotted line). "Likely" relationships and "uncertain or hypothetical links" are also differentiated, which is useful as it is clear where hard facts are available or absent. The authors have had to make their minds up as to what they think the links are. 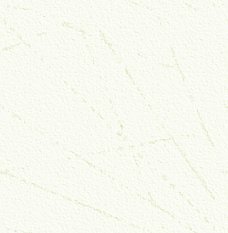 Whilst there may be some instances where experts may disagree, the tables are excellent and will force people to think seriously about the information available and the need to come up with new hard evidence to make dotted lines solid. Well illustrated, and with a huge index of names and an equally huge bibliography, this is genuinely, as is claimed on the fly leaf, a "ground-breaking book" and a "superb volume for home reference". It is, however, much more than just a reference book, for it can be read and enjoyed in its own right. ISBN 0 500 05128 3. 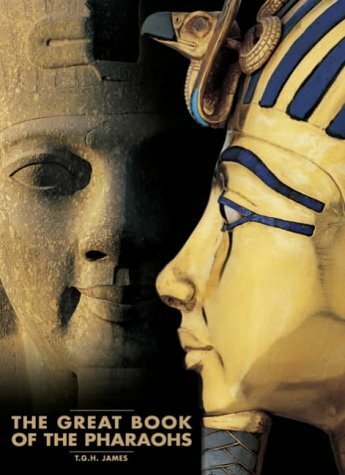 This volume, in the very large "White Star" format (10.5 x 14.5 inches) is a re-packaging of two previously separate volumes on Tutankhamun and Ramesses II. Both the individual volumes are splendid in their own right and are full of r e m a r k a b l e images of temples, tombs and treasures. As such, they will be a delight to anyone interested in ancient Egypt in general, and these pharaohs in particular, and will appeal to the beginner or enthusiast in equal measure. I have one major criticism, which may seem odd in a book review, and that is the size of the book. Each individual volume is big and bulky, not always easy to read or handle and actually presents a problem in finding bookshelves able to cope with it! This combined volume is almost ridiculously heavy. If you attempt to read it or look at it on your lap, it virtually stops the blood circulation in your legs! It is an awkward-sized book to deal with, at over ten pounds in weight, it really does need to be read with it resting on a table. But for value for money it is an absolute bargain and if you haven’t seen the individual volumes, then this one is a must for everyone. Book your arm exercises at the gym now! ISBN 88 544 0037 8. White Star seem to delight in producing books that have unusual sizes, resulting in the problems mentioned above of how and where to put them! This volume is only six inches high and nine inches long, but has a mammoth 640 pages. 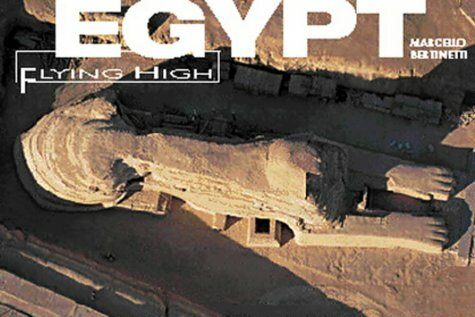 The text is absolutely minimal, for the magnificent aerial photographs speak for themselves and give views of Egypt that I can guarantee you will have not seen anywhere else before. Divided into sections, the book gives a bird’s-eye view of the pharaonic monuments of Egypt, its deserts, the oases, the river Nile, the modern cities, and the Red Sea and Mediterranean coasts. The book is well worth getting for the views from above of the temples and monuments, which reveal so much detail, often not seen from ground level, and often not noticed on (or omitted from) plans. These views comprise only part of the book, though, and the other sections are equally compelling. Understanding the nature of the country, the geology and landscape, helps to give an understanding of how the ancient Egyptians viewed their country. ISBN 88 544 0004 1. Whilst not a book on pure Egyptian obelisks, anyone interested in the Egyptian influence on western architecture will find this book truly fascinating. If like me, when travelling around the UK you notice obelisks (often through the windows of a car as one speeds by) and wondered why is that there, who built it and when, then the answers are all here. The first obelisks appeared in the UK around 1570, when travellers to Rome came back with descriptions of the many (genuine) Egyptian obelisks there. From this point on they appear in major buildings and stately homes and as "antique" monuments in fine parks and gardens, or even as milestones. After the "re-discovery" of Egypt at the end of the eighteenth century, obelisk building received a boost and they appeared as funerary monuments, drinking fountains and as memorials of events or people (such as the huge Wellington Monument, built to commemorate the battle of Waterloo in 1815, near Wellington in Somerset and visible for miles from the M5). Obelisks, large and small, appear everywhere in the UK as war memorials, notably after the First World War. The author deals with modern obelisks in chronological order and also describes the removal of a total of five genuine Egyptian obelisks to the UK, including the best known examples on the Thames Embankment in London and at Kingston Lacy in Dorset (see AE issue 26). 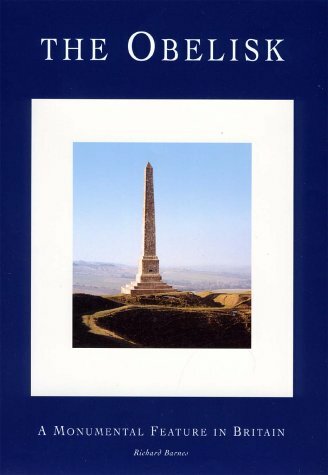 With many illustrations in black and white and colour and a huge gazetteer at the end of the book, listing every known obelisk erected, right up to very new examples (including in 1998, a steel ventilation shaft in the shape of an obelisk at Finsbury Place in London) this book is really fascinating for travellers in the UK and for obelisk and Egyptianising monument-spotters. 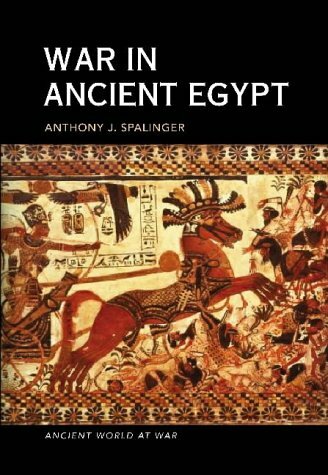 This book sets out to look at the history of warfare in Egypt from Predynastic times through to the New Kingdom, dealing with the exploits of the Pharaohs as well as the life of the ordinary soldier. The book is structured in three main parts: "Ancient Warfare", i.e. anything before the Middle Kingdom, "Middle Kingdom Warfare" and "New Kingdom Warfare". In each section there is a brief general overview of military activity and also a review of the weapons used. Thus we have "Soldiers and Archery", "Soldiers and Hatchets", "Soldiers and Spears" and so on in the "Ancient" section, and similar headings in the "Middle" and "New Kingdom" sections too. Perhaps one section on weapons, covering all periods, would have been less confusing and repetitive for the reader and enable a better understanding of the development of weapons over the period. In the Middle Kingdom section we read of siege warfare (though this is also applicable to the earlier and later periods) and of the soldiers of Mentuhotep II whose preserved bodies (sadly not illustrated) are most useful in seeing the types of injuries received in battle. In the New Kingdom section we learn how soldiers were trained (also applicable to other periods) and we read of the great military campaigns of this period, though they are, of necessity in a book of this size, mentioned only briefly and readers will need to look elsewhere for more detailed accounts. An appendix looks at "Weapons of the Amarna Period" which is odd, considering there has already been a section on the New Kingdom. This appendix seems to repeat (often word for word) information contained in the New Kingdom section. Perhaps it would have been better if the information in the appendix, where not duplicated, had been included in the earlier section. A second appendix looks at the sources of information for things military, which include pottery, palettes, tomb models and tomb scenes etc. This list is useful, though far from comprehensive. A long bibliography is included for further reference, though it does not include some more recent titles on the subject of warfare. This book does provide a well-written overview of the subject, though it is a shame that it ends with the New Kingdom, for military activity did not cease then. In fact internal conflict and invasion meant that the Egyptians were involved in almost another thousand years of conflict. The inclusion of more illustrations would have been useful and some of the black-and-white illustrations included are not in focus. The photographs were obviously taken with a very shallow depth of field, which means that whilst parts of the image are in focus, others are not, and this is irritating and unexpected in what is otherwise a well produced book. ISBN 0 7509 3291 0. The title of this book is somewhat misleading, for, far from trying to include the whole history of war in Egypt (as was originally envisaged by the author) this book concentrates on military activity in the New Kingdom. By concentrating on this important period in Egyptian history the subject can be looked at in some detail. This book is useful in that it examines areas not usually covered, such as the logistics and practicalities of moving large armies of men and animals over long distances, and in doing so the author determines the military effectiveness of the Egyptian state. Rather than reading a blow-by-blow account of the battles, we can learn about food production and intake, rates of march, economic and geographical constraints on the army and so on. Using the ancient texts and battle scenes as his base, the author then looks at them closely, reading between the lines almost, to determine what they really mean and what actually happened. So, for example, when looking at the march of the army of Thutmose III across the Aruna mountain pass on the way to attack the town of Megiddo, the author looks at the logistics of the march. How wide was the pass? Thutmose’s "Annals" tell us that one horse followed another, so Spalinger concludes that the men could not have marched more than four abreast at most, probably less. He looks at how fast a group of men can march, allowing for the pack animals and horses. By calculating how long it would have taken to march all his men through the pass and assemble them ready for battle, it is possible to determine that Thutmose started his march around 6 am or slightly later and that it took some six hours to march through the pass – not a long time to move maybe four thousand horses, two thousand chariots and a huge body of men over thirteen kilometres. This is fascinating stuff (and the book is full of this sort of detail) and it really makes the campaigns and exploits of the pharaohs and their soldiers come alive. The book has a relatively small number of illustrations, but, whilst we have full accounts of Thutmose III’s campaigns, for example, we have very little visual information surviving, so finding useful illustrations is not easy. This is true for most of the Eighteenth Dynasty. Of course for the campaigns of Rameses II, we have much more visual material, but this has to be carefully interpreted, as it is often pure propaganda. For anyone interested in Egyptian military history, and wanting to learn more than the simple dry facts and the well-known major battles, then this book is an absolute must. 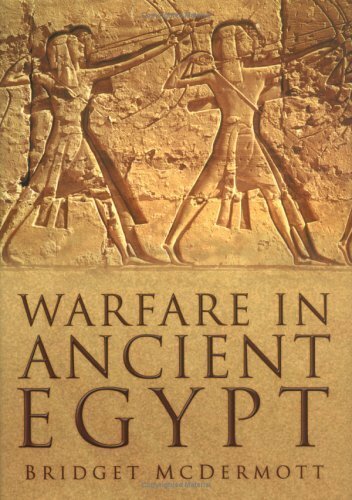 The author is to be congratulated on this major contribution to our knowledge of warfare in ancient Egypt, presented in a very readable book, suitable for the beginner as well as the real enthusiast. paperback ISBN 1405113723. Price £16.99. Anyone reading more technical articles on ancient Egypt in magazines and journals, or perhaps attending lectures, may have noticed the author/lecturer make reference to "Porter & Moss". For many years, I will admit, I had no idea what this publication was or why it was so important. The title is a little off-putting and formal. "Topographical bibliography". What is that actually? Well … dictionary in hand, "topographical" = "describing the features of a place or district, the position of its rivers, buildings, etc. "; "bibliography" = "a list of books or articles about a particular subject". So, the contents are exactly what it says on the cover – a list of books on a particular subject, connected with specific places or buildings. Anyone, therefore, wanting to research a particular site should make "Porter & Moss" their very first port of call. There is a huge amount of information contained in these pages. Plans of sites are included, descriptions of the decoration on the walls of tombs, and the all important references as to where information has been published, when and by whom. Whenever reference is made to an ancient name, it is given in hieroglyphs. If objects were found at the sites, they are noted, together with their present location and any books specifically relating to them. Part of a series of books, these two volumes, now available in paperback, were first published in 1934 and 1937 respectively, re-issued in the 1960s and have been out of print for many years. It is difficult to describe these books; they literally have to be picked up and studied, when you can marvel at the amount of information they contain, which truly is phenomenal. Bertha Porter died in the 1940s and Rosalind Moss in the 1970s. Some of the earlier volumes have been revised and updated (itself a huge undertaking) but these two volumes are as published. This does mean that they are inevitably "out of date", but it should be remembered that most of the sites and standing monuments we know today were discovered, studied and recorded before the 1930s and objects from them scattered to museums around the world, so the bulk of the information is still valid. 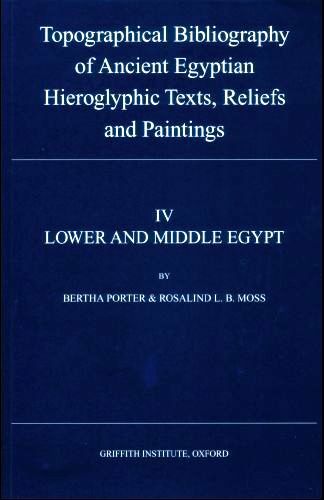 Whilst readers might need to do some research themselves to include more recent publications, if anyone ever asks the question "where can I find out what has been published about ..." then "Porter & Moss" is truly an essential reference work of Egyptology. Other volumes cover the Theban Necropolis (Vol I, in two parts: part1 on Private Tombs, part 2 on Royal Tombs); Theban Temples (Vol II); Memphis (Vol III, in two parts with part 2 subdivided into 3 volumes); Upper Egypt, Chief Temples (Vol VI); Nubia, the Deserts and Outside Egypt (Vol VII); Vol VIII covers Statues of Unknown Provenance with two further volumes in preparation on Unprovenanced Stelae, and Reliefs and Wall Paintings. Published by the Griffith Institute, Oxford. Vol V: ISBN 0 900416 83 1. Each priced at £30.